At their 2018 gathering in Lviv, Ukraine, the Synod of Bishops of the Ukrainian Catholic Church declared 2019 a year to recognize Blessed Josaphata. In their 15th resolution, the Bishops announced that they were giving their blessing to "the celebration in 2019 of the 100th anniversary of the passing into eternity of the Venerable Mother Josaphata Hordashevska, the co-foundress of the Congregation of the Sisters Servants of Mary Immaculate". Parishes around the Archeparchy of Winnipeg also participated in this special inspirational initiative. Many of the parishes that were able to offer one of their Sunday Eucharistic Liturgies in thanksgiving for Blessed Josaphata enjoyed the blessing of having one of the members of Blessed Josaphata's congregation of Sisters attend the special liturgy. One such parish was Holy Eucharist Parish in Winnipeg. The parish priest, Fr. Michael Kwiatkowski, spoke about the extraordinary example of Blessed Josaphata at the both the Ukrainian and English liturgies. 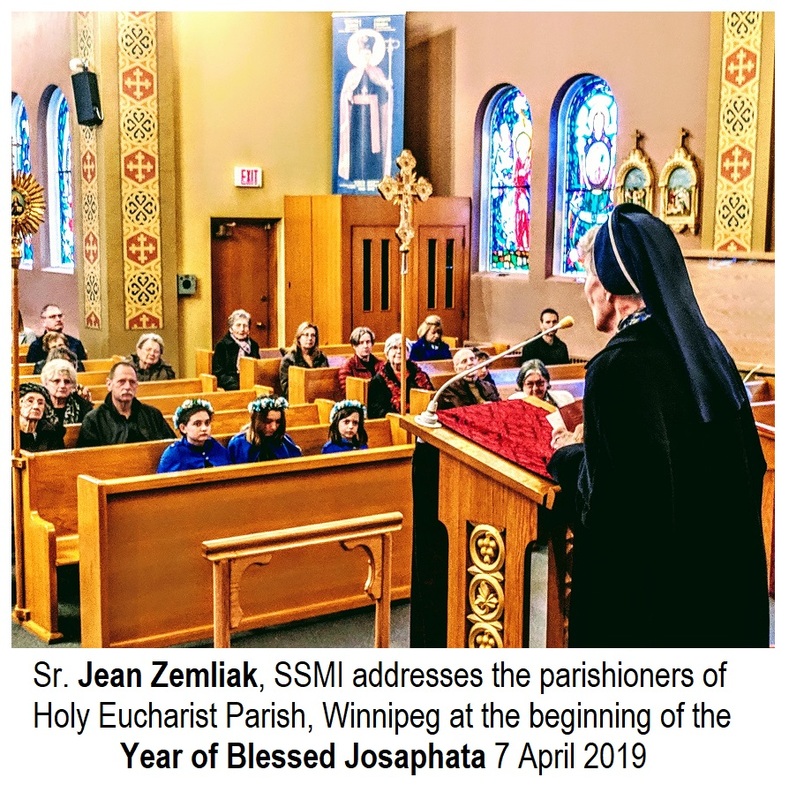 However, at the 10:00 AM English Liturgy, Sr. Jean Zemliak, SSMI also addressed the congregation with inspirational messages from the life of Blessed Josaphata. Giving examples, she asked the faithful to take away two primary messages: 1. determination - to not give up, but seek strength in the Lord to complete the mission... and 2. service - to revive in themselves that Gospel call to serve others and maintain this as a lifelong value. Sister Jean also met everyone as they left distributing to them all holy cards and pamphlets. through Evangelization, education and care of those in need. 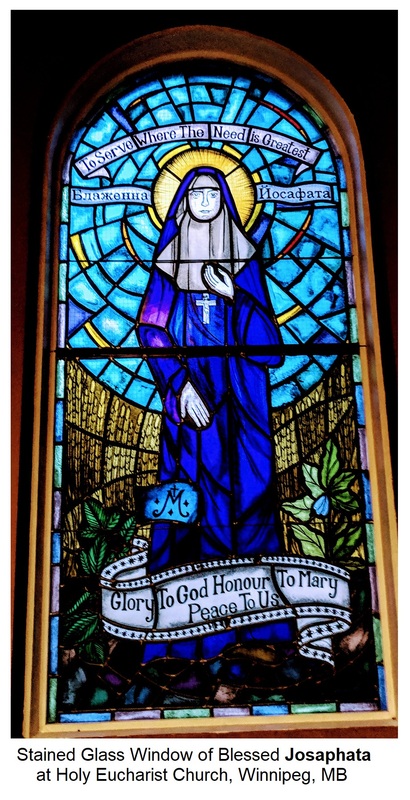 of a Sister Servant of Mary Immaculate. bringing the Gospel message to all people. A brief biography of Blessed Josaphata may be found on the Sisters Servants website [HERE]. An extensive article (Ukrainian) on the special year-long commemoration can be found on the official website of the Ukrainian Catholic Church [HERE].